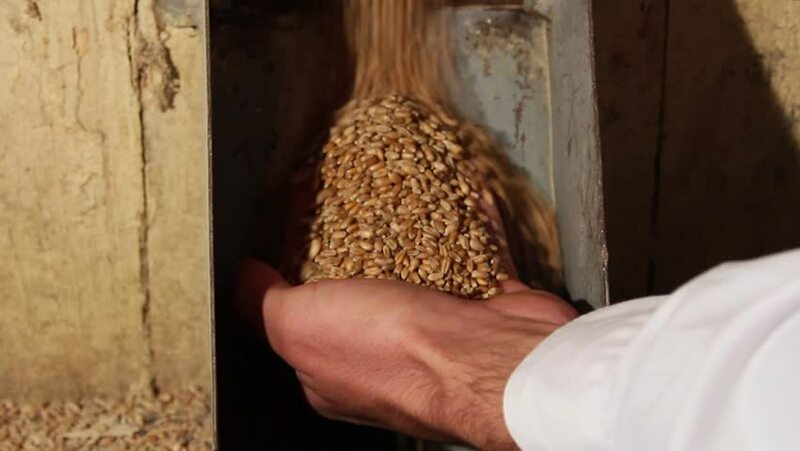 Wheat milling.Worker who control the quality of the wheat before getting into the mill. hd00:18Beekeeper unseal honeycomb to subtract honey. 4k00:08Nishijin textile that emits music part of Panasonic Electronics Meets Crafts.The foil with pieces of gold and silver is a conductive material that reacts to static electricity of human body.